in Nara - consecrated in 752.
and in Kamakura - consecrated in 1252. The temple around it was destroyed by a tsunami in 1495.
. 鎌倉 Kamakura, a Haiku Town .
. Folk Toys from Kamakura . with a Daibutsu made from lego !
. Daibutsu in Kyoto 京都の大仏様 . 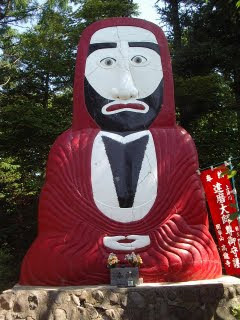 is a large Buddhist statue located in Shōhō-ji in Gifu City, Gifu Prefecture, Japan. It was conceived by the 11th head priest of Kinpouzan Shōhō temple, Ichyuu, around 1790, in hopes of averting large earthquakes and famines. Ichyuu died in 1815 before it was completed, but his successor, Priest Kohshuu completed it in April 1832, after 38 years of construction. 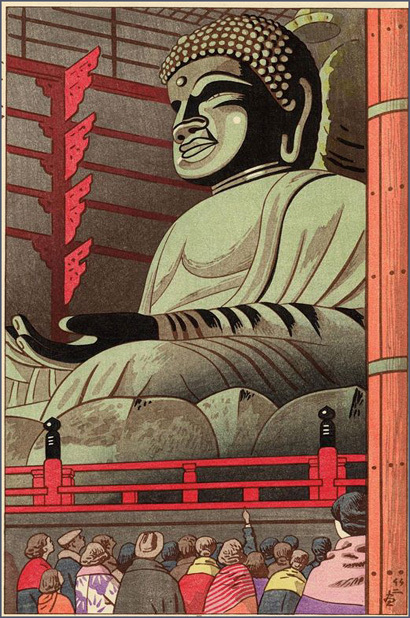 It is one of the three great Buddha portrait statues in Japan. The Great Buddha of Gifu is unique due to the method of its construction. First, a central pillar 1.8 meters in circumference was formed from ginkgo tree wood. 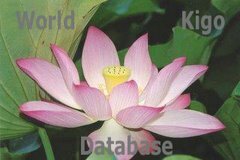 The Buddha's shape was then formed using bamboo lattices. The bamboo was covered with clay to add shape and many Buddhist scriptures were then placed upon the clay. Finally, the scriptures were covered in lacquer and gold leaf, giving the Buddha the appearance that it has today. Here we are concerned with the aspect of these Buddhas and other hotoke in Haiku. 大仏名鑑 - All the BIG statues of Japan ! Daibutsu - just the name makes for a good commercial! 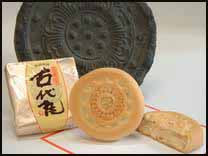 There are so many Daibutsu items on sale ! 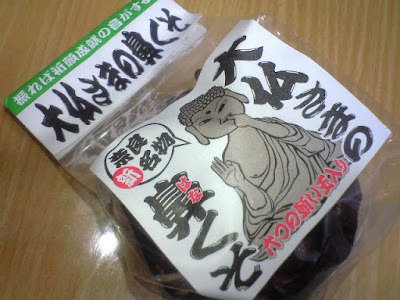 Even the nose poop　鼻くそ　and navel poop　へそのごま of Daibutsu! Most are from the Nara Daibutsu. Life is asymmetrical in its essential character, and it is natural for us to rejoice in it, for it is the guarantee of our spiritualfreedom. Even on the Great Buddha, for all the Law of Karma and theinviolable Wheel of the Law, the snow melts irregularly. Blyth makes no comment on it, but considering that he only translates one other haiku by Sogetsu-ni, one can conclude that he thought this haiku was the most representative/best of her work. Sogetsu-ni's haiku, for all its loveliness, seems to be about mostly that: loveliness. No one has ever said that the tsukinami poets (and I'm not saying Sogetsu-ni was one) weren't skillful, within their artistic limitations. I suspect that pretty, technically-accomplished haiku were manufactured seemingly effortlessly by the tsukinami poets. When Basho visited Todaiji in Nara, the temple was still under repair after the destruction wrought by the civil wars of the sixteenth century. 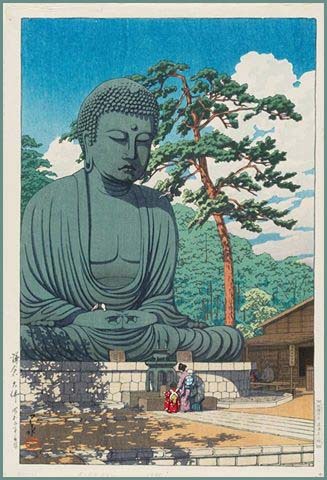 The Great Buddha statue was only finally completed in 1692, after the visit by Basho described above, and the statue sat for years in the open like the Great Buddha in Kamakura. when you sit at the veranda or a sheltered place and feel the warmth of the sunshine. This haiku is about the feeling (omoi) of the author. Tr. David Lanoue ... read more haiku here !